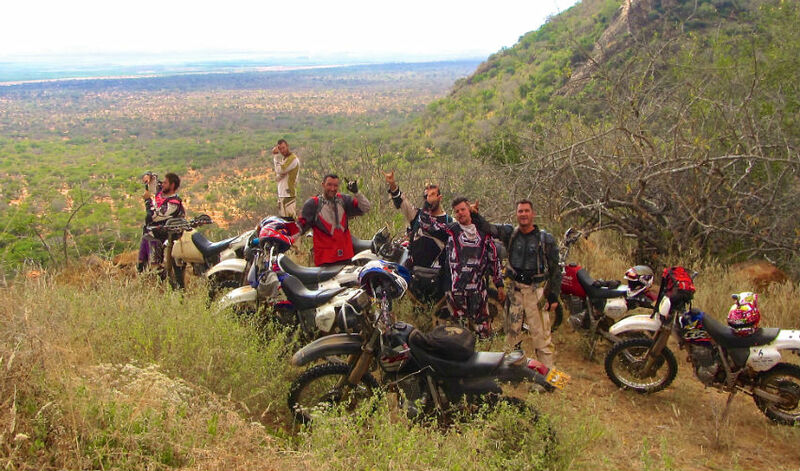 10 motorcycles, 2 land cruiser, 13 Chinese, with 6 African brothers, we did a wonderful adventure with Fred's team in Kenya. We had a great time with the team and would definitely come back again ! Thank you ! 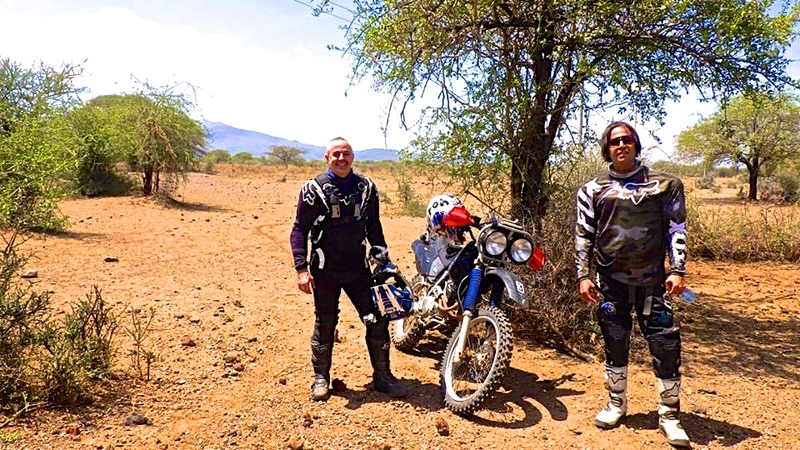 Back in Canada from a third motorcycle tour with Fred, Northern Kenya this time, i already miss this kind of vacation and look forward for another one on an other part of Africa. This kind of travelling is for me a real ressource of happiness and strong moments of joy, finding myself smiling while riding on the african roads. 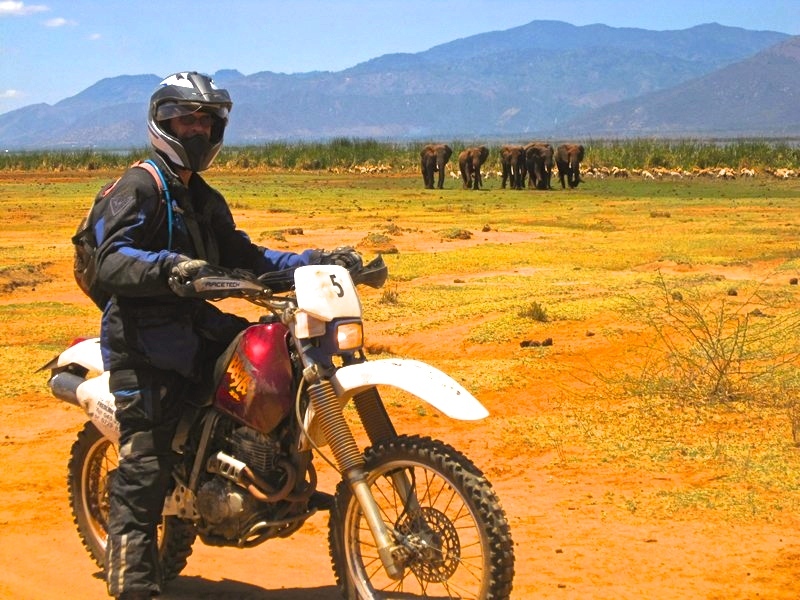 For me off-road motorcycle trips are the best and the only proper way to travel, as it allows one to get to places very remote and hard to be reached by other transport and gives one a chance to be not a tourist, but rather an explorer. 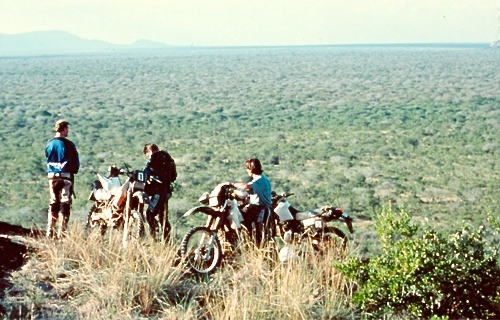 And the trip to the Northern Kenya organized by Fred felt like a real expedition into the heart of the country. This journey away from civilization and usual tourist trails turned out to be a great adventure, with all the possible risks contained and managed well by Fred. 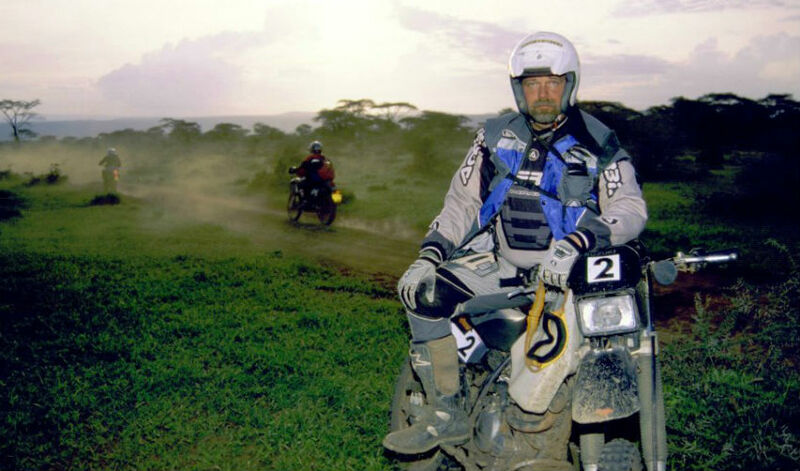 I did a few similar off-road trips in other countries, but this one was the first one extremely well organized, with a support vehicle and a crew of mechanic, cook and doctor following us through the hard terrain and making the experience easier and safer. 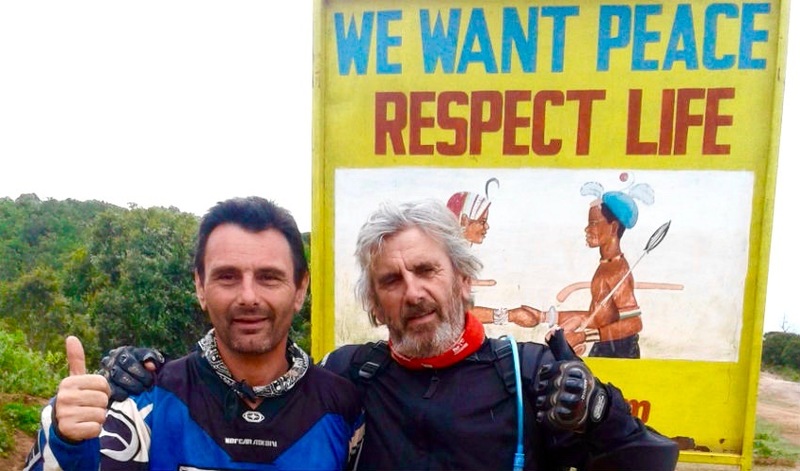 The roads (or sometimes complete non-existence of such) were a real challenge and required a lot of hard work and concentration, this – as well as Fred's tips – allowed me to upgrade my riding skills considerably. The scenery was beautiful and diverse ranging from savannah to mountains to green valleys to big lakes to very arid deserts. We saw quite a lot of wildlife including zebras, giraffes, ostriches, baboons and many other. But the best part of all was seeing and interacting with local tribes – Turkana and Samburu – who seem to live how their ancestors lived hundred of years ago. The feel was very surreal, like being in a National Geographic or Discovery channel movie. We also had a chance to be socially responsible travellers and help some of the schools and kindergardens with stationery and donations. I will certainly come and do it again – to see other parts of Kenya as well as neighboring countries – as once you try it, you will never get enough. 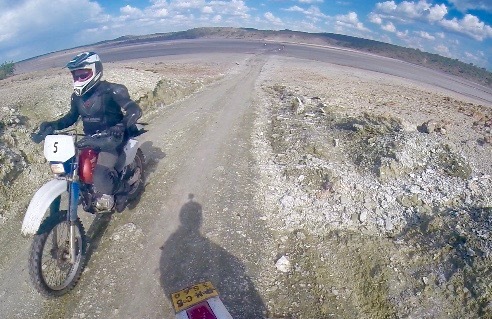 Just to say thank you very much for the trip, I enjoyed the riding very much, some spectacular scenery and unusual places to stay. It was kind of you to allow us to donate to the school and arranging for us to meet the nun ( in a different school) who after being in Kenya for 23 years was still changing the lives of some of the children. The trip was very challenging for a novice off road rider but the great support from you and your team made sure it was very enjoyable. Thanks again and I hope to meet you again. Thank you hernan, emiliano, john, roger, daniel, henrique and fred for a great adventure. 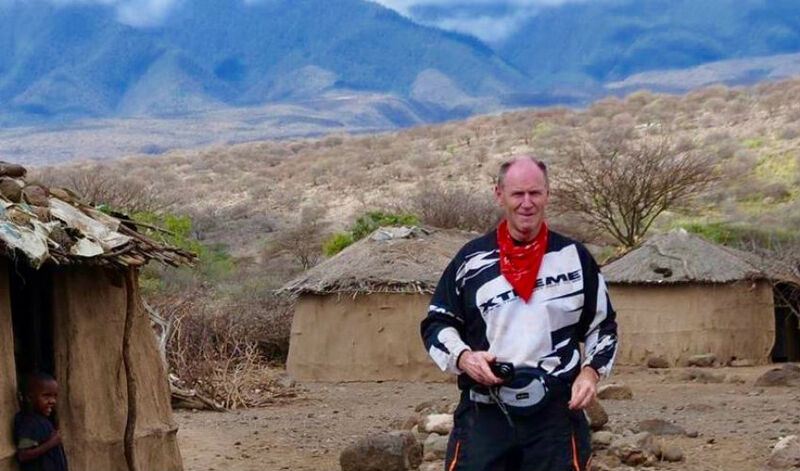 Did a 9-day southern Kenya trip last month with friends and Fred put together a perfect adventure for us. Having been based there for 20 years Fred is widely experienced and his team is top notch and a lot of fun. 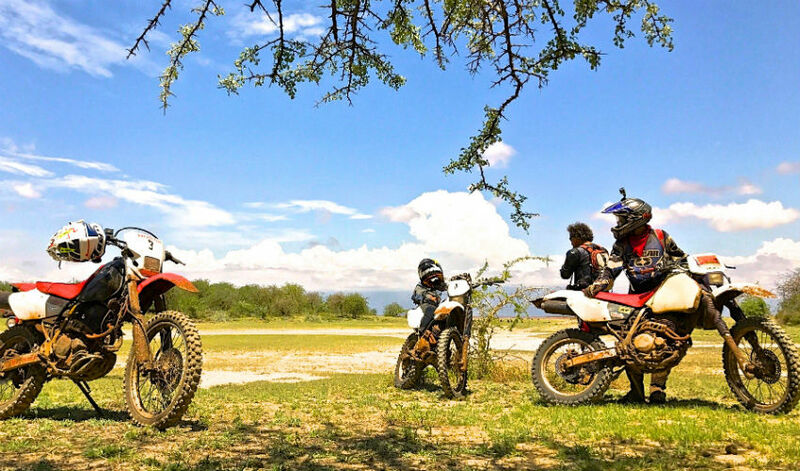 Meeting the Maasai, the off-road riding, seeing the wildlife at close quarters and the overall camaraderie are just some of the many things you will take in in just over a week. Go experience it for yourself and witness the many wonders of Kenya and the memories will stay with you forever. This trip really does set the standard for adventure riding. 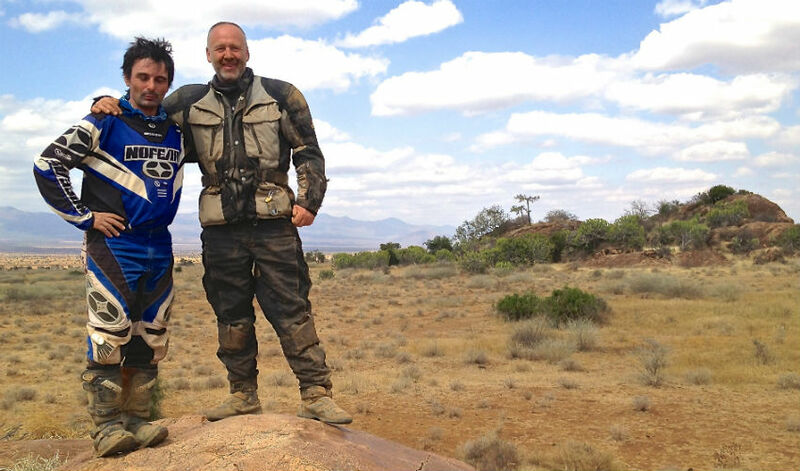 It is a total off road experience where you cut through the middle of Africa. Past tribesmen with spears you thought no longer existed. Past herds of giraffe, zebra, impala, ostrich, all in completely natural unscripted settings….. Contrary to news reports it is all completely safe (except the hippo's ). And, due to the news reports, you will have the place completely to yourself. Go ! Now ! Before the tourist hordes find the place ! Hi Fred. Please count me in for the trip from Nairobi to Victoria fall. Thanks for the great trip, great group of riders, best trip ever! I cannot speak highly enough about Fredlink tours. 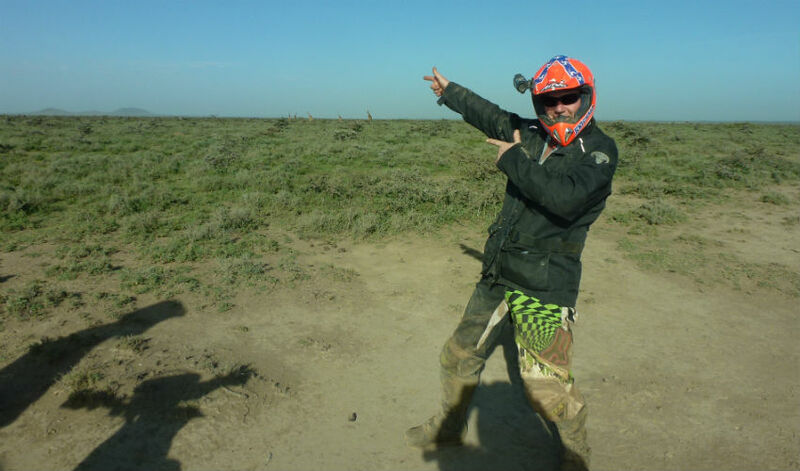 I have done lots of dirt bike tours in USA, Mexico, Rocky Mountains Canada. These are the best. These are trips of a life time and I highly recommend them. 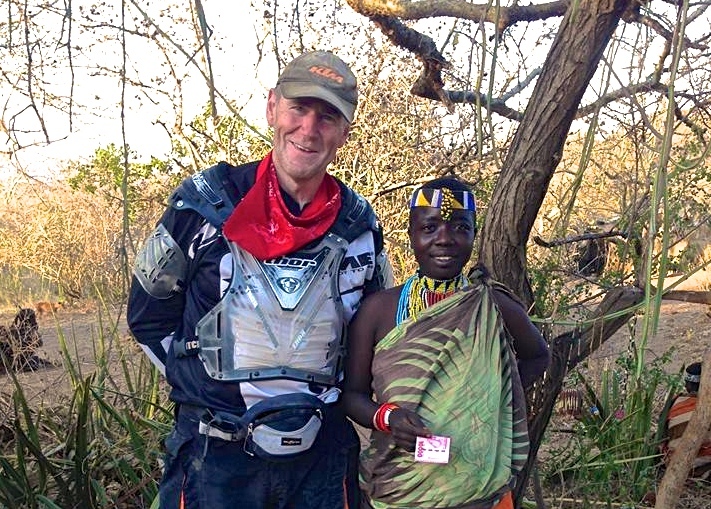 I have done two trips with Fred, one in Kenya and one in Tanzania. Each one was an adventure, with amazing events each day. I am planning to attend his trip in Northern Kenya in January 2016. The last trip, of the 6 days in Tanzania each day I exclaimed “that’s amazing” amazing things happened each day, e.g. riding with a herd of about 200 zebras, the Ngorongo Crater, visiting a pigmy village, riding through the city of Asusha. Saw on game drive in national parks Lions, giraffes, elephants, monkeys, there are lots of animals to see versus trips to other parts of the world. The bikes are Honda 250 XR they are not performance bikes, they are touring bikes that are a bit old but they ran perfect, and these are tours so you don’t need a performance bike. I ride a 530 KTM but I was happy with this 250XR. 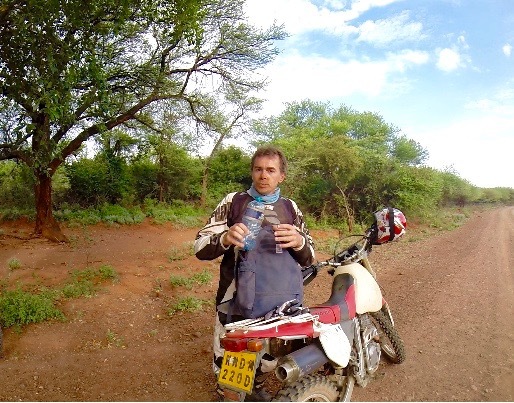 The riding is all easy on african roads and some trails. They have a medic and mechanic that drive behind in a truck. Its a full day of riding starting about 8am and going to at least 4pm which Ive been on other tours were the riding is not as good. Each day you ride to a different destination with a comfortable lodge at the end, and we did camp one day which was fine. Landscape is fantastic it changes dramatically from desert, grasslands, and low mountain ranges, to riding in the towns (which is cool cause its such a different riding experience to riding in a North American city) people in Kenya and Tanzania are great really nice friendly people. Its dry with dusty roads sometimes. In the back country the people and kids they run out to the road to wavy to you, you feel like a rock star. We never had any problems or issues throughout the trip, even in the towns you feel like a celebrity. First trip I did in 2006 was Nairobi to Mombassa, was good, the trip to Arusha and Ngorongo Crater, was better, more animals. Ngorongo Crater is worth seeing. Fred is great, always made sure everything was perfect each day and took care of us, he speaks the local language which is interesting to watch him with the native people. Fred even took me on a private ride one day scouting out the way for the next days ride, while the others went on a truck safari. The last day of the trip to Tanzania I was truly sorry it was over I was having such a good time, I didn’t want to leave. Flight and transport to Kenya was easy and someone was waiting for me each time at the Airport. Weather was good, usually 75 to 80 degrees, rained once where I wished I had a rain suit. Everyone else on the trip had the same experience, there were no complaints from the other people about anything. Things to bring, scarf for the dust, one of those lights you can wear on your head at night as your in the dark in the back country, a few snacks, camelback for water. Caroline, Lynn, Phil and I arrived home this afternoon after a smooth journey and with no dust involved! Thank you very much for the highlights and the map, which I am sure will help us all recall the great trip with you. Thank you for making the trip such a memorable one for us all and it was fantastic to meet and make friends with Jenn, Mike and Chris and am sure we will all stay in touch. Already dreaming about the next trip and will be in touch about that in due course. All the very best and please also pass on our regards to Theo and Elson who also did a great job as usual. Fred and his team are first class. They are very professional and great friendly and efficient guys. I recommend them very highly. 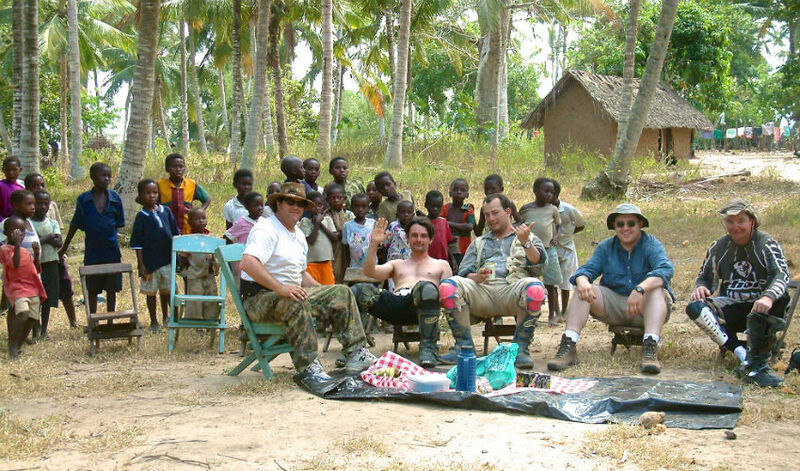 I would rake Freds advice on a dust scarf and cool off road clothing with armour and proper off road boots. Warmest regards from a cooler England. Well, time has passed and I have to say, our wonderful 2 weeks in Kenya is sadly growing more distant. Lucy and I had an amazing time, really, it was a trip of a lifetime. Thank you Fred for making it all run smoothly, even though behind the scenes you might have been sorting out problems. We could not have wished for a more interesting and lovely group of fellow bikers for our trip – thank you all for be such great company. Lucy and I wish you all the every best for the future. It is allready 1 week ago that I came back…but the trip is still on my mind…. a very special experience for me. And thanks again to you and Alex, Theo and Peter for taking care of me . The riding is just right, off road on small XR250’s not too technical and you get some real good natural encounters with wildlife. 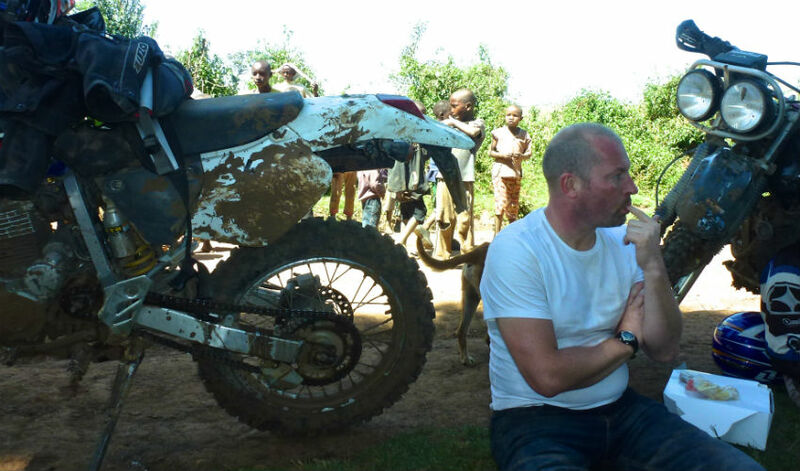 A great mix of riding, interacting with the locals and some pucker Safari action. The “support” truck is really a safari Land cruiser. 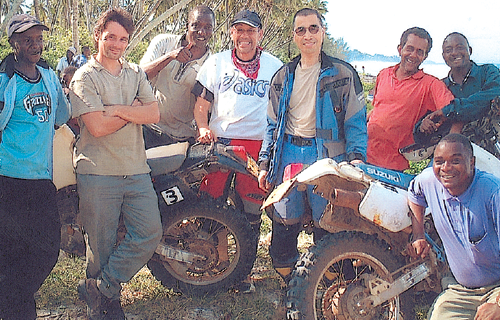 So on a few occasions after a day’s riding we changed into shorts and T-shirts and went out on safari. My wife and another riders wife were in the Land cruiser and had the most fantastic time. The driver and crew were great tour guides and the most friendly funny people you could meet. This makes this the perfect way to do some off roading in Africa with the misuses if she is not a rider. Thanks a million , once again , A BIG thank you for a wonderful trip and great memories , we certainly will keep in touch. Good choice on a tour operator for this type of adventure! There wasn’t enough Fred and his expert team could do to ensure our enjoyment of this tour. Right from the start he was flexible and willing to change and adapt his set routes to accommodate us. His team will ensure that you all needs are well taken care of, from excellent food to roadside repairs (bikes and riders J). I would highly recommend Fredlink and will definitely be contacting them again for our next Kenya adventure! Don’t forget your Go Pros and adventurous spirit! 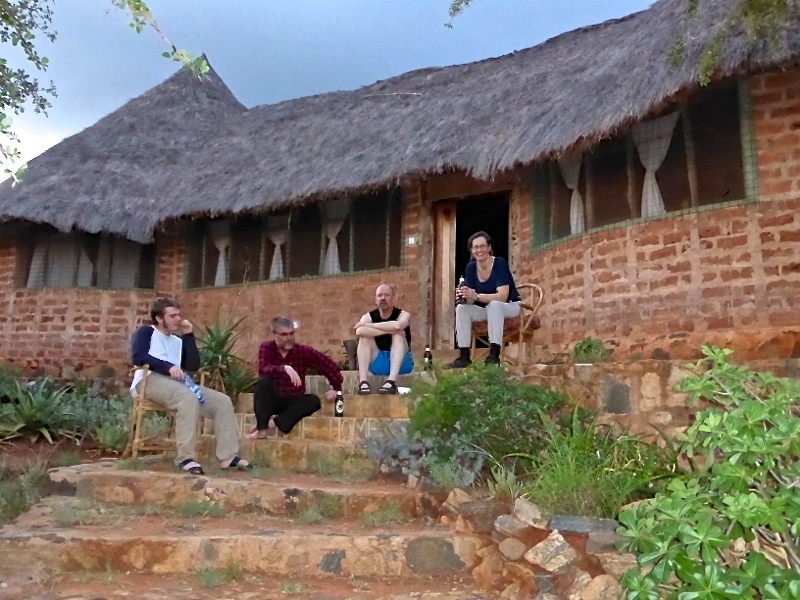 Hi Fred, i hope you got back to mombassa ok…Peter, Chris, Ian and I arrived back in the uk yesterday. We were greeted by thick snow! Quite a contrast from the climate we had experienced during our week with you. I just wanted to send you a quick email to say how grateful I am to you and the guys for taking us on the adventure of a lifetime. I did find the biking hard but it was a great achievement to complete the tour and it was one of the best experiences, if not the best, I have ever had. I am missing it all already. Thank you so much it was a journey that will stay with me forever. I will be in touch again soon but for now take care and give my best to your team. Thanks for a fantastic experience & please send mine & Ben,s regards to Thao, Alex & Elson also all the rest of your crew that made the journey such a wonderful experience. Not sorted all the photos out yet but had a glance & I wont forget for a long time. 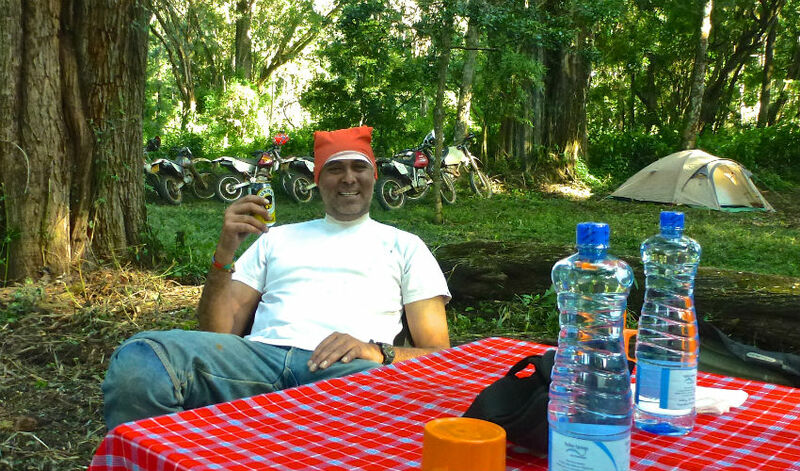 The trip was great & the bike riding fantastic, the scenery & lodges majestic & none could be done without you & your team. So thank you for a fantastic holiday & biking experience. Its left me wanting more !! We have done a tour with Fred last october and I can just tell you, it was an forgettable experience. Fred is well prepared and has an excellent team, making sure you can fully enjoy the experience. He is flexible and adjusts the trip along the way to the experience level and the expectations in the group. Jambo! I am YOSHIKO in JAPAN. Thank you very much for everything. I had a wonderful exciting time. I had a telephone call from Mr.UNNO,today, talked about seeinng LION, he was surprised, and glad. And I sent a Email to Mr. KOGUCHI . We will meet in next month. So I will hand to him a present from you. I will send you many photos later , with some money for broken lever. I also sent a Email to THEO. But I worry about reaching to him. Please give my best wishes to THEO, BAKARI, ALOU, JOSECK, and to everybody I met there. Hope you can understand my poor English. Good bye. You made it very successful. Thanks TOO MUCH!